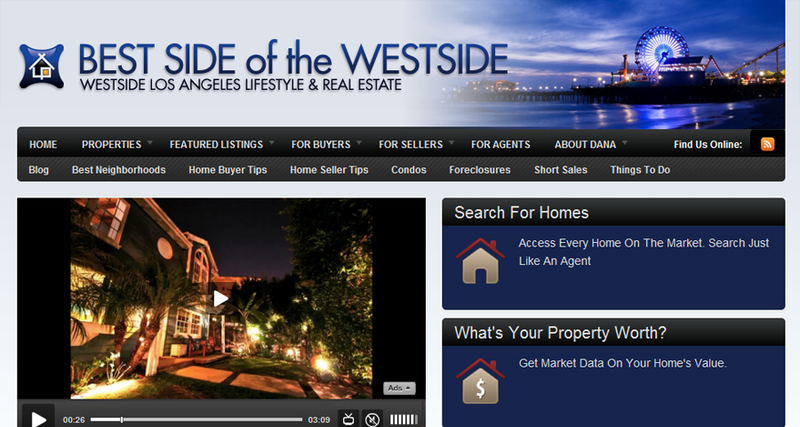 Dana Ehrlich is a REALTOR® in Santa Monica who approached us about developing a custom theme that fit her brand. Her wish list included a prominent video on the main page and integrated IDX platforms dsIDXpress and Wolfnet. Dana’s assistant was to be responsible for on-going content management and website maintenance including featuring her current listings and recently sold properties. We began development on a child theme based on WooTheme’s BoldNews which we called GoodNews. First we disabled the feature post area and replaced it with an option to include a JW Video Player, dsIDXpress search form, or custom HTML. Also built into this child theme is a set of six buttons which the title, text, icon, and link are editable from the theme options for simple customization. With dsIDXpress and a content strategy Dana is generating targeted traffic to her site from long-tail Google searches. Visitors can browse both individual listings in Santa Monica neighborhoods or use the feature rich Wolfnet map search to save searches and favorites.